For about ten thousand years, the human race has produced and consumed alcohol, mainly due to its psychoactive effects. Currently, the consumption of this substance is legal in many countries across the world, including the United States, and thus seems to be socially acceptable. The consumption of other psychoactive drugs is hardly embraced this much. Alcohol was once known as ethanol and is a depressant of the central nervous system. Therefore, it causes the body and mind to coordinate and function slowly. With decreased reaction time caused by alcohol abuse, you may be unable to conduct simple things like driving your car. Additionally, this psychoactive substance affects other crucial areas like judgment, vision, decision making skills, coordination, ability to multitask and sleeping. Since the administrations of the nations that allow alcohol’s consumption understand the extent if its effects upon any consumer, they have taken the responsibility of putting up restrictions. These regulations ensure that it is consumed by the right people, at the right places and at the right time. For example, in most countries, selling to a minor is an offence because these are underage persons that can hardly take care of themselves when drunk. Other laws may prohibit drinking habits in public, as well as when driving. In some other countries, consuming or selling alcohol during working hours especially during weekdays is also illegal. As good as these restrictions sound, do they really help citizens to stay clear of alcohol’s short and long –term effects? This question is quite tricky to answer considering that hundreds of millions of people still consider alcohol to have cultural and social significance. This means that it has a certain significant role to most of the world’s population. As a result, you will find the consumption of alcohol in almost all parties, social gatherings and festivals held across the world. Additionally, drinking establishments like night clubs and bars are allover in states allowing this consumption, since they also revolve around the sale of alcoholic beverages. As people consume both low and high levels of alcohol in the name of its social and cultural significance, they expose themselves to its short and long-term effects. These issues are the common reasons why there is a relation between alcohol and societal problems like driving fatalities and accidents, domestic abuse, accidental injuries, violent crime and sexual assaults, among others. Due to such problems, some nations have chosen to make alcohol illegal for both sale and consumption. They include Yemen, Kuwait, Iran, Sudan, Libya, Somalia, Saudi Arabia, Bangladesh and Afghanistan. If all nations in the world could follow suit, then various health entities would have one less problem to deal with. What’s more, some social issues would disappear, there would less premature deaths and more families would stick together. This article will explore on the short and long-term effects of alcohol and thus will leave you to decide which path to follow. Will you chose healthy living or otherwise? It is quite sad that one in about ten people develops an alcohol problem before they die. This alcohol problem begins with alcohol abuse, a psychiatric diagnosis, whereby you develop unhealthy alcohol drinking habits bit by bit. 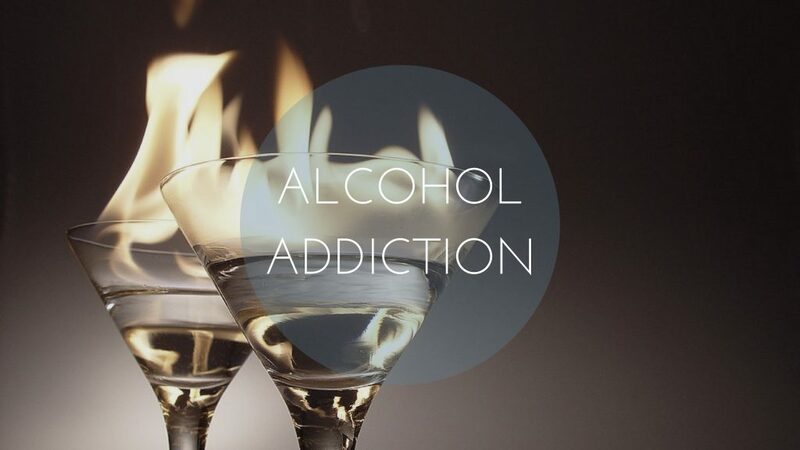 Since alcohol is addictive as a photoactive drug, this habit leads to alcohol dependency and later serious addiction. Therefore, alcohol abuse and addiction are matters on different levels. Alcohol abusers are yet to become alcohol addicts. However, they are heavy drinkers that continually drink despite the results. One important point to note about alcohol abusers is that they do not have to drink consistently. These individuals can even last weeks or months without indulging in the drug. However, when they finally do, they take too much to cause issues like alcohol poisoning or put themselves in risky situations. Alcohol poisoning refers to the reaction of your body after overconsumption of alcohol. Your body reacts by shutting down and this is quite fatal. The Centers for Disease control and Prevention conclude that alcohol poisoning causes the death of at least six individuals daily in the US. If the habit of drinking this much does not stop, some drinkers may end up depending on alcohol. 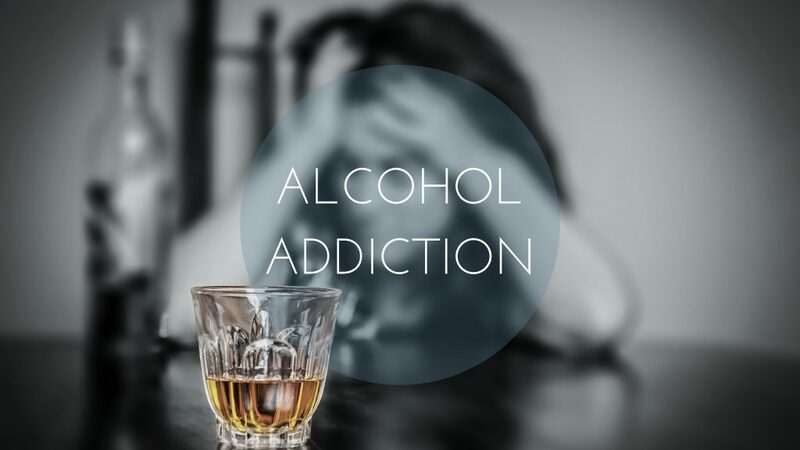 On the other hand, alcohol addiction also known as alcoholism means that you are psychologically dependent on the drug and thus will continue with compulsive drinking that hardly stops regardless of the consequences that are mostly adverse. 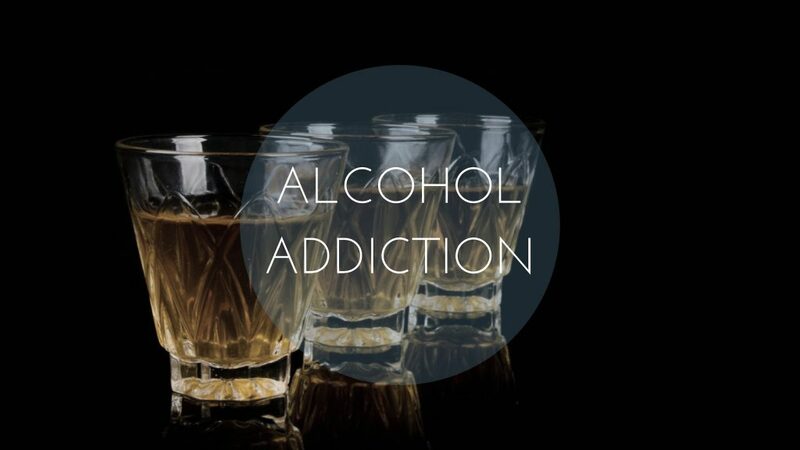 Therefore, if you fall into alcohol addiction, you will literally be physically dependent on the drug. Along the way, you will experience life-threatening and severe withdrawal symptoms any time to try to quit. Alcohol abuse seems to be different and in levels. Therefore, there is the underage drinking, binge drinking and the heavy use of alcohol. In all these several forms, the effects go from intensified short-term effects to terrible long-term. Regardless of all these, persons that should never fall under any of these categories are pregnant women and persons on medications, suffering from mental illness or planning to drive. Underage drinking- this type of alcohol abuse involves persons that are under the legal drinking age. The health problem development risk for these persons is quite high upon abusing alcohol. In 2012, the Substance Abuse and Mental Health Services Administration concluded that almost twenty-four percent and sixty-four percent of the eighth and twelfth graders respectively, abuse alcohol. Binge drinking- this type of alcohol abuse refers to the alcohol consumption pattern that causes your blood alcohol concentration (BAC) levels to stand at 0.08 or even higher. This means that in two hours, you consume five or four drinks if you are a man or woman, respectively. It increases the likelihood of decreased sexual inhibitions, drunk driving, injury and alcohol poisoning. Heavy use of alcohol- in this type of alcohol abuse, you get involved in high-risk drinking, also referred to as binge drinking on occasions such as five or more in a month. It is known to increase the risk of acquiring heart disease, sleep disorders, liver disease, internal stomach bleeding and depression. Additionally, it leads to anemia, which is the loss of red blood cells, alcohol blackouts and unconsciousness. As time goes by and you do not quit the consumption of alcohol, you are likely to develop other symptoms as addiction begins to kick in. It all happens so slowly that you will only realize if you are interested in quitting but fail, or if somebody enlightens you. So, you can use the following points for self-evaluation if you have had increasing risky and drinking habits. The inability to proceed with daily duties and responsibilities without alcohol in your system. The term used to refer to both alcohol abuse and alcohol addiction is alcohol use disorder (AUD), since it generally refers to problem drinking that results to legal trouble, health issues and difficulties in meeting your obligations, especially those regarding school, work or home. This term is used to refer to these two because they have two common aspects; you always fail at controlling your alcohol intake and you keep consuming despite that you still experience negative consequences during and after consumption. According to the National Institute on Alcohol Abuse and Alcoholism, about eighteen people living in the US continually struggle with alcohol use disorders. They are known to be quite life threatening and disruptive since alcoholism and alcohol abuse cause health conditions that are serious. Do you have thoughts about Cutting down your alcohol intake? Does it Annoy you, whenever people begin commenting on your drinking? Do you often get Guilt feelings, especially after drinking? Do you often or not take an Eye opener to escape hangover or steady your nerves upon waking up? If your score is anywhere between and including 1-4, then you should acknowledge that your dependence on alcohol ranges from 75 to 99%. Upon the consumption of alcohol, you must experience some effects since the ethanol in the alcoholic beverages tampers with your body functioning through your brain. It begins by increasing y-aminobutyric acid effects, since it is the brain’s major inhibitory neurotransmitter. As alcohol facilitates its actions, it suppresses the central nervous system activity. The effects of consuming alcohol also happen because it further affects the functionality of other neurotransmitter systems, including serotonin, glutamate, acetylcholine and glycine. The increased level of endogenous opioids and dopamine result to the alcohol pleasurable effects in the brain’s reward pathways. The unpleasant and toxic alcohol actions in the body are mediated by one of its byproducts, acetaldehyde. The short-term effects of alcohol are the things that take place and last for a short period. Therefore, they happen sooner rather than later in the distant future. Mostly, they begin as soon as the alcohol reaches the cells and the blood stream. These short-term effects can also be grouped according to your blood alcohol concentration/content (BAC). Your BAC plays a significant role in determining alcohols effect on the central nervous system. Therefore, your BAC matches an array of side effects , ranging from minor to severe complications. If you have a lower BAC percentage, the effects that you will experience will be temporary and thus subside within a window period of a few hours. On the contrary, higher BAC percentage brings forth serious and life-threatening short-term effects that can last more than twenty-four hours. One and half 80-proof distilled spirits ounces contain approximately 40 percent alcohol. Such include tequila, rum, whisky and vodka. The much drinking for a long period of time eventually causes some long-term effects, which continue affecting even in the future and also after quitting alcohol consumption. Many of these effects will get extremely sick and admitted in hospital severally to receive adequate and appropriate medication. As mentioned earlier, alcohol interferes with communication mechanisms in your brain. As you continue to consume more alcohol for longer periods, it changes the functioning and structure of your brain. It is advisable to underestimate the destruction power of alcohol upon your brain even on a single alcohol abuse occasion. This drug is capable of causing irreversible damage upon the cerebral cortex, cerebellum and limbic system. Additionally, it contributes to the occurrence of mental disorders like anxiety, depression, anti-social personality disorder and bipolar disorders. Consequently, you will have co-occuring disorder. It is public knowledge that the liver is responsible to metabolize alcohol through its enzymes and thus make it a digestible product. However, this metabolism only happens for small alcohol amounts at a time. Therefore, if you engage in binge or heavy drinking, you are overloading your liver. Consequently, it will leave the excessive alcohol to continue circulating in your body. Additionally, this overloading of the liver mostly leads to liver problems that have the potential to threaten your life. They include fibrosis, fatty liver, and cirrhosis and alcohol hepatitis. The alcohol effects on your heart can take place if you consume high alcohol concentrations in one occasion as well as in long time periods. This takes place because the heart receives deoxygenated blood from the liver. The moment the liver delivers alcohol-contaminated blood, there is a high possibility that there will be an occurrence of certain long-term effects. Heavy drinking causes cardiomyopathy, whereby the heart muscles stretch. It also highly contributes to high blood pressure, stroke and arrhythmias. However, regardless of these long-term issues, consuming alcohol moderately seems to be beneficial according to experts. The pancreas plays a crucial part in your food digestion, by producing two hormones that are quite necessary. The hormones ensure to regulate blood sugar levels by increasing or decreasing them. Alcohol tampers with this process by producing a chemical that continually harms your body. What’s more, alcohol causes the swelling up of the blood vessels surrounding the pancreas hence causing pancreatitis, which is the inflammation of the organ. It is deadly because if this happens, the symptoms will hardly be noticeable, meaning that you will not receive the necessary treatment on time. The kidneys are known to effectively filter whatever harmful substances that are present in your blood. Since the heavy drinking results to high blood pressure, the kidneys suffer as well leading to kidney disease. This problem may also arise if you already suffer from liver disease, since the kidneys get overworked. Long-term alcohol consumption of the onset of kidney disease worsens the situation. As so experts advise that moderate alcohol amounts are good for you, avoiding these kidney issues require you to completely avoid consumption at all costs. You cannot do without your stomach. Alcohol is known to disrupt the digestive system, where it is in small amounts or big. It produces more acid as soon as alcohol reaches the stomach lining and this further causes acid reflux and stomach lining inflammation, also called gastritis. Other digestive problems may include vomiting, diarrhea, internal bleeding, nausea and ulcers. If not alcohol consumption control is observed, you may eventually develop stomach cancer. In conclusion, the above short-and long-term effects of alcohol are not to be ignored. They should instead help you in reflecting on the value of your health verses the value of alcohol. Does the former seem more valuable to you than the latter? If yes, then you would rather abstain from alcohol, from today. If you cannot quit consumption alone, seek professional medical help because you may just be an inch away from developing long-term diseases that will make your life a living hell.